In many job settings, employees perform the same tasks day after day without worrying about eventual injury. Unfortunately, repetitive stress injuries are a real risk for many employees in Illinois, whether they perform manual labor or sedentary work from a desk. Fortunately, under the Illinois Workers’ Compensation Act, these employees can seek workers’ compensation benefits just like they would for sudden traumatic injuries. 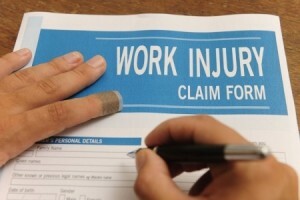 An employee must clearly be able to show that an injury was caused by the specific demands of his or her job. Injuries arising from risks the general public faces may not be compensable. For instance, an employee who develops leg or back problems from walking on a hard floor every day will typically not win compensation. However, if an employee is required to carry heavy loads or stand stationary for hours, he or she may be able to win compensation. Employees with pre-existing conditions may still be entitled to workers’ compensation benefits. Even if the employee previously sought or received workers’ compensation benefits for a work-related condition, a second claim might be approved if the condition worsened or if a new related injury arose. However, the employee would need to clearly prove the condition was exacerbated by his or her job. Illinois law requires victims to notify their employers of a repetitive stress injury within 45 days of discovering the injury and realizing it was work-related. The statute of limitations for filing a workers’ compensation claim in Illinois is three years from the date the injury occurred or was discovered. Some repetitive stress injuries may be associated with certain types of work. For example, office employees who type all day are at risk of developing carpal tunnel syndrome. For these employees, connecting a diagnosis of carpal tunnel to job duties may be straightforward. For other stress injuries, a medical professional’s opinion can help establish the origin of the injury. An injured employee should fully describe any symptoms and the nature of his or her job to a physician so the physician can evaluate how the job may have contributed to the injury. If a claim is denied, an employee has the right to appeal the decision by submitting a claim to the Illinois Workers’ Compensation Commission. Although any employee with a workplace injury can benefit from seeking legal guidance, employees who are appealing claims should especially consider speaking with an attorney to improve the likelihood of approval.